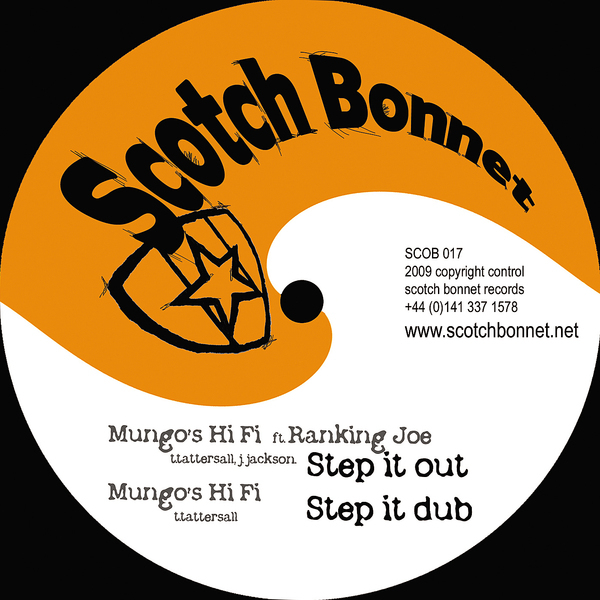 Mungo's Hi-Fi fire off some major rounds on the latest Scotch Bonnet winner. Tom Tattersall aka Mungo's Hi-Fi has released some increasingly on point productions over the last year but this has to be our favourite so far, inviting three ace vocalists; Ranking Joe, Black Champange and Lyricson to version his scorching 'Step It Out' riddim with brilliant results. 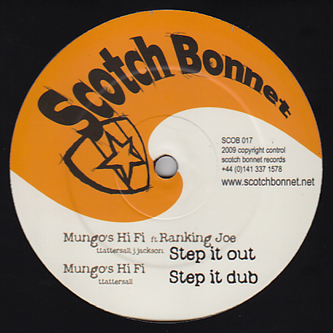 This is just pure happiness on wax with a riddim built from rootsy piano chords and a very well fed bassline tried and tested on Mungo's numerous SoundSystem testing sessions. All dubstep and dub heads should be piling in on this one, especially fans of RSD, Phokus, Disrupt and the likes. Tip!